Of the two mainline Warriors games to launch this year, Warriors Orochi 4 is the most traditional one. That’s…well, while it seems like it’s true, it’s not, because this game has been in development since 2016, and was worked on in tandem by the same team that made last year’s Warriors All-Stars. 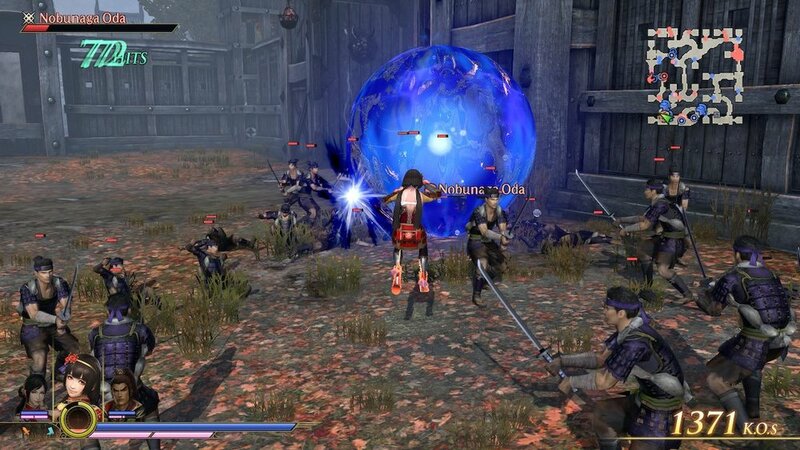 Koei and Omega Force have several teams that work on this series, and while they all share rendering technology, they often produce wildly different takes on the same core game design concepts. Warriors Orochi 4 brings over some of the new graphical tricks from Dynasty Warriors 9, the special attacks that require you to hold a shoulder button and press a face button, and…pretty much ignores the rest of it in favor of designs stretching back to Dynasty Warriors 8 and Samurai Warriors 4. If you’ve played those games, most of the content here won’t be outright new to you. In fact, the game is also less ambitious and less replayable than 2011’s Warriors Orochi 3 in many aspects. Still, if you’re in the market for a game that collects together all the best bits of the few entries pre-DW9 and will take you about 20 hours to finish, there’s a lot to love here. All of the screens in this review are from the Switch version, which is the worst-looking one by far. 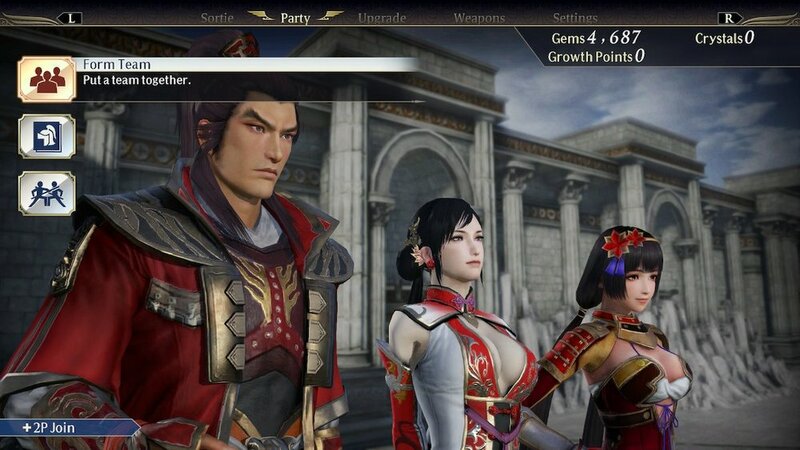 This has perhaps my favorite take on the Dynasty Warriors combat system…ever. It’s fast, effortless, and fluid. You’ll build a team of three characters, mixing and matching from 170 different choices. More on that later. If you pick a Dynasty Warriors character, they have their moves from DW8, and if you pick a Samurai Warriors character, they have their moves from SW4. The new Sacred Treasures and the new combo system keep this recycled content from becoming boring. At any time during an attack chain, you can press the right shoulder button and a face button to unleash a magic attack that will cancel your existing combo and let you chain into a new one. Magic attacks are limited by a meter, with Charge and Unique magic requiring you to burn the whole thing, and Normal magic only requiring a little. Charge and Unique magic grow more powerful the higher your combo score is when you activate them. This one extra layer of complexity on top of the classic Warriors button combo system lends the whole thing a frenetic dynamism that’s really fun. Spend a little time with it, and you’ll be landing multiple-thousand-hit combos in no time, and grinning the whole way. The fourth face button in the magic system is used to instantly summon your horse right underneath you. Sure, it looks a bit silly when a puff of smoke happens and suddenly you’re on a horse, but it’s so useful that I find myself idly trying to do this in other games that feature horses. It further enhances the already intense speed of the game. The 170 characters on tap here are mostly recycled from older games…but there are ONE HUNDRED AND SEVENTY of them. It was enough to win Koei a Guiness World Record. Five of the characters are new, and the rest are taken directly out of older Warriors titles with minor visual facelifts. Where by that I mostly mean their textures were cleaned up. Still, this huge pile of characters is a big part of the fun in the game. I spent the first third of my 20 hours with the campaign throwing new people into my team every so often, till I settled into a groove. Unlike Dynasty Warriors 9, each character doesn’t have a unique ending. In fact, the storyline in the game basically proceeds without any involvement from you or your chosen characters. On the plus side, this means you can pick whatever characters you want for any stage, but on the minus side it frequently means you’ll feel disconnected from the plot. It might take you a while to find a team you like, but the variety here is such that the much more likely problem is liking too many of the choices, particularly if you’ve enjoyed any pre-DW9 Warriors games. I’ve played the entire game on Nintendo Switch, and a handful of hours on PC as well. The PC version is more or less the equal of the PS4 and Xbox versions, just like with Dynasty Warriors 9. It also retains a handful of that game’s rendering features, like cool volumetric fog and screenspace reflections. Unfortunately, since 95 percent of the assets in this game are ripped straight from much older games, no amount of rendering trickery can make them feel wholly new. Aside from a couple of areas, all of the levels are recycled, but they have Greek buildings placed into the background in a nod to the Greek/Norse Gods theme of the story. Similarly, while the character assets are cleaned up a bit and feature nice modeling and texture work, they don’t look appreciably different from their appearances in games that came out five years ago. The PC, Xbox, and PS4 versions all top out at 60 frames per second. The Switch version is capped at 30, and that’s the first of its many graphical downgrades. The Switch takes hits to lightning, shadow quality, draw distance, and texture quality, and loses reflections and particle effects almost entirely. It’s a dramatically worse-looking version of the game, and the performance often struggles to hit its 30 FPS target. It’s never unplayable, and it’s still okay-looking thanks to a solid rendering resolution and intact character artwork, but when you compare it side-by-side with the other versions it’s hard not to notice the difference. The effects work on the other versions of the game goes a long way towards making this look nice, but it’s not as graphically impressive or artistically ambitious as DW9’s total art overhaul. I don’t hate the way the game looks, and you’ll like it more if you haven’t seen the games that contributed their artwork to it. I do really like these goofy angel wing guys. They’re new for this game. The story is a convoluted tale that reboots the old Warriors Orochi plotline…but also doesn’t? Zeus of Greek Gods fame decides to do some stuff and that throws all the Warriors characters together for a tale of wacky shenanigans. Part of this story is a collection of bracelets that allows 7 of the characters to “deify” into God forms. But this is really just another powerup mechanic, and it’s used so sparingly that it’s a little strange. I can’t help but wonder if the original plan was to deify every character, but then the art budget fell through. The choice of characters that get these powers seems strange and arbitrary. Further, although these powers are central to the game’s story, you’ll never actually be the one using them to do plot-related stuff since they allow you to pick any character. If you pick a character that’s central to the plot of a particular stage, they’ll just have a second AI copy loaded in that performs all the actual story-relevant tasks. I get why they made this choice; it meant they only had to write one story with one ending. But after the 94 unique endings of Dynasty Warriors 9, it’s a very different approach. Every level is a linear slog through thousands of soldiers. Literally every single one. Gone is the tactical variety that always helps these games avoid repetition. They do as many fun things with this formula as they can, but there’s only so many times you can run through a level, open some gates, and fight a boss. With 50 main stages, 20 side missions, and a handful of available DLC missions that all use the same basic structure, the game’s missions blur together after a while, especially after you’ve seen the story once and you’re just skipping through to try out the characters. I think this hit harder for me since I’ve played these exact stages in other games, so if this is your first Warriors title in a while, it’ll be less of a problem. Ugh. While I think this game handles loot better than DW9, 95 percent of the stuff you pick up in this game is worthless trash compared to your existing weapons, and its sole purpose is to be sold or broken down. Further, each character only has five or so weapons that then just endlessly generate with random slightly different stats. So once you get a pretty good version of the next tier of weapon, it’s hours and hours of grinding before you hit a higher tier. And when you get the best ones, you’re basically done. The UI is also kind of a nightmare. It’s a collection of boxes, tabs, and redundant button pressing that never fails to be slightly frustrating. Everything takes a few more steps than it should. Each character has a skill tree, but you’ll max it out long before you hit their individual level cap. But once you’ve maxed out the tree…you still keep earning skill points? For some reason? I don’t understand. In spite of barely having any design to it, I can’t deny that I still had some fun with the loot grind here. But I also feel like it could be so much better. There’s only so many times I can slot my favorite gem types into a new weapon before I’m tired of it. The DLC selection is a bit shameful, sadly. You’ve got the usual huge pile o’ costumes. Some of them come in the $30 season pass and others come in a $30 costume pack. That’s right, if you bought all the DLC that’s out, this game would cost you $120. And that’s right at launch. Yikes! Aside from costumes, you’ll get some extra mounts, bonus Sacred Treasures that feel like they should have been in the game, and some bonus levels that feel exactly like every other level. Oh, and a stripped-down challenge mode featuring the Bridge and Rampage scenarios that have been in so many of these games before. This DLC probably isn’t worth it unless you really like costumes. DW9’s first DLC packs added new characters, weapons, and a revamped challenge mode that was very different. This WO4 DLC seems like content that was hastily pulled in from other titles in the series…kind of like everything else in the game. Of the three “Anniversary Celebration” Warriors games (All-Stars, Dynasty Warriors 9, and Warriors Orochi 4), this is probably my favorite one to actually play. But it’s also the thinnest on the ground in terms of content that isn’t a huge library of characters. Once you play through all the stages…you can play through them again? There’s splitscreen and online co-op, which is a nice bonus, and a weird Battlefield-inspired PVP control point mode that seems like a baffling inclusion. But Warriors Orochi 3 has Gauntlet Mode, a challenging Diablo-style random dungeon crawler. Dynasty Warriors 9 has a vast open world to explore and unique character story content. Warriors All-Stars has a dynamic explorable map that mixes in random stages in-between its designed ones, greatly extending replayability. Dynasty Warriors 8 XLCE had the Conquest RPG mode, and the Empires games present endless scenarios thanks to their endlessly replayable strategy maps. In Warriors Orochi 4, the focus seems like it was on the combat system, and to be fair Koei totally nailed it. But everything else got a little hurt along the way. The assets are mostly old. The levels are mostly old. The story is fun…once, and then you’ll have seen everything. And the DLC is a bit iffy. The core package here should satisfy Warriors fans for a few weeks, and there’s no denying how fun it is to play. Instant Horse should come forward to all future installments. And hopefully those have a bit more to do. I still liked it, and it runs/plays better than DW9. But it has none of that game’s longevity or weird heart. Further, that game has just been re-released in a free version (at least on Steam and PS4) that allows you to try a couple of characters and then buy more of them piecemeal. If you’re new to the series that might be a better place to start? Free is cheaper than 60 dollars, and you can at least get a feel for whether you might like this sort of game. I don’t know. I still had fun with this as I devoured it on Switch, but I was destined to do that no matter how good or bad it was.